I started dancing aged 5. My Grandmother was teaching at a ballet school at the time and apparently I showed an interest after watching an end of year performance given by the students. Mikhail Baryshnikov. I used to watch as many videos of him as I could find. Baryshnikov again. His technical ability alone would be enough to admire, but his timing and his style really struck a chord with me. Cyrano in David Bintley’s production was a fantastic role. 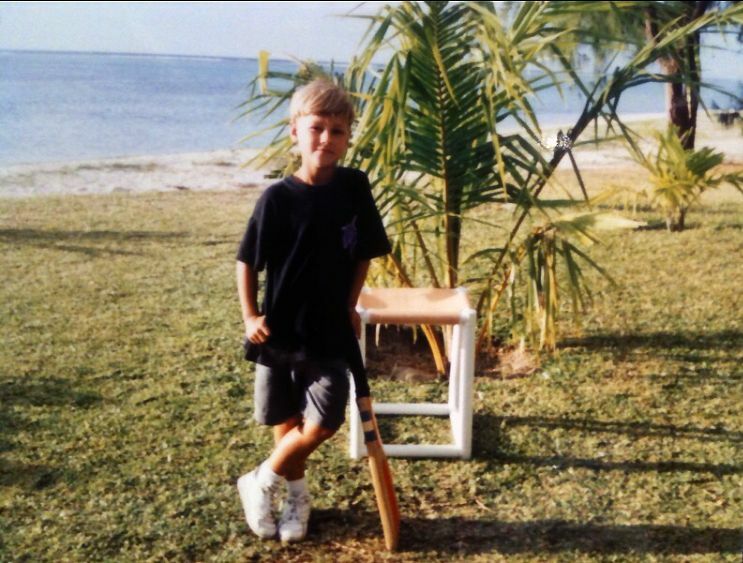 Solo’s, pas de deux’s, comedy, tragedy, sword fighting… it had pretty much everything in it and I was very fortunate to be given the opportunity to perform it at a relatively young age. Roald Dahl: witty, sharp and thoroughly entertaining. José Carreras. I vividly remember being in Mauritius – my Mother’s side of the family hail from there – sitting in the front seat of my Grandfather’s car listening to José Carreras singing La bohème on cassette. We were in the car because everyone had upgraded to CD’s by then. Whenever I hear Carreras sing I can’t help but smile and think of that time. The Departed. The cast is great and even though I’ve seen it a number of times, there’s a scene in it that still manages to catch me off guard and surprise me. Sydney. It’s home… and it has great beaches ten minutes from the city. My ability to see the big picture. Being interviewed on Test Match Special. Speaking with Jonathan Agnew, who I had grown up listening to, about my career in ballet whilst overlooking the cricket ground in Cardiff during an Ashes Test made me really happy and proud of the profession I am pursuing. That and debuting in the role of Lescaut in Manon on the Bolshoi stage alongside Carlos Acosta and Natalia Osipova. I remember celebrating one of my birthdays at home in Sydney with my family on a rare occasion when we were all together. We went and watched Megamind at the cinema and I remember looking down the row and seeing my Grandmother, my Mum and Dad, my two sisters all looking up at the screen and laughing. I was very happy that day. Being late and missing out. I have really bad hearing – I qualified for hearing aids but they annoy me so I hardly ever wear them – so that can be a source of frustration. However, it also has provided me and my colleagues with some hilarious moments onstage so maybe I wouldn’t change it! I remember my colleagues enjoying watching my panic as I tried listening out for a triangle situated in the orchestra pit, being played pianissimo, whilst I was standing in the backstage wing of the Opera House stage. I managed to laugh about it afterwards! 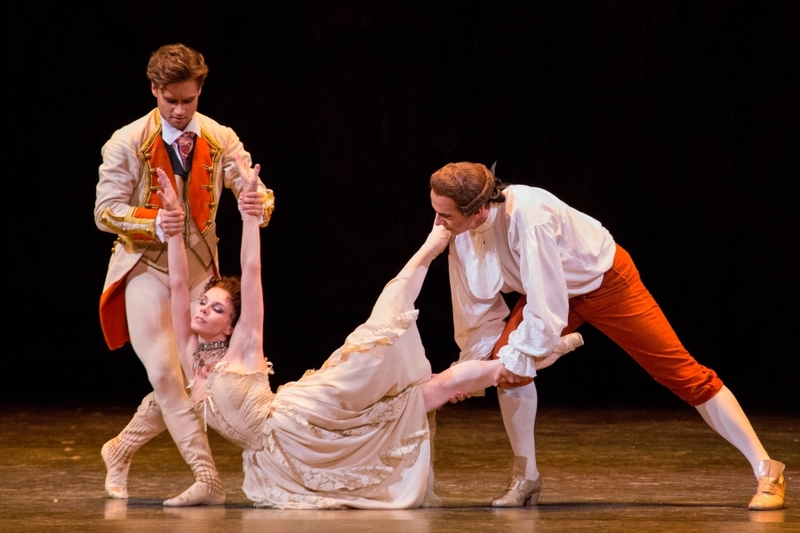 To date, being made a Principal with the Royal Ballet is my greatest achievement. It is something I have aspired to all my life and it is a wonderful honour and privilege. 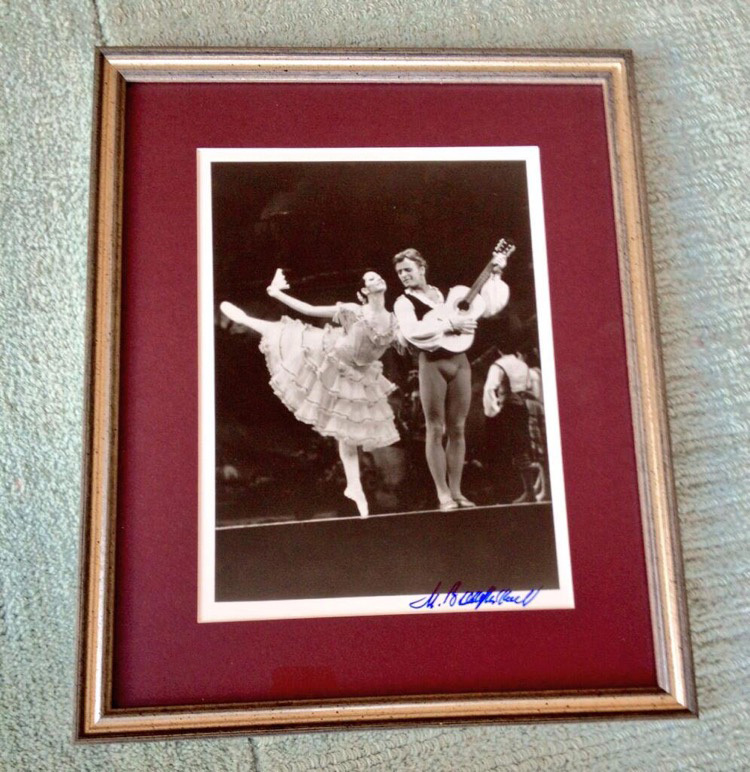 A signed photo of Mikhail Baryshnikov performing in Don Quixote with Cynthia Harvey. Probably my full cricket kit. I haven’t played a game in about 10 years but I always find a place for it, even in the tiniest of apartments! As a dancer, possibly my musicality? Germanicus. My older sister had a great appreciation for Ancient History and she introduced me to this beloved Roman general. Hugh Jackman: he can sing, he can dance, he’s a superhero and apparently a really really nice guy. A view of the ocean, nowhere to be and great company. After I had picked myself up from falling over with laughter (a near escape from death perhaps?!) we agreed that whilst grabbing the bull by the horns was the more commonly accepted practice, I would adopt my Mother’s advice and make it my motto. 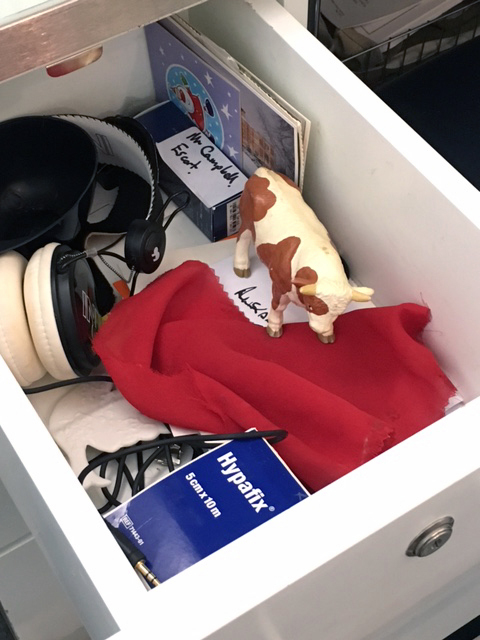 My ballet teacher loved it so much that she gave me my very own mascot, ‘Buck’ the Bull which I have kept with me for all my performances. Born in Sydney, he trained at Academy Ballet, Sydney, and The Royal Ballet School. In 2003 he won silver at the Adeline Genée Awards and was a Prix de Lausanne finalist. 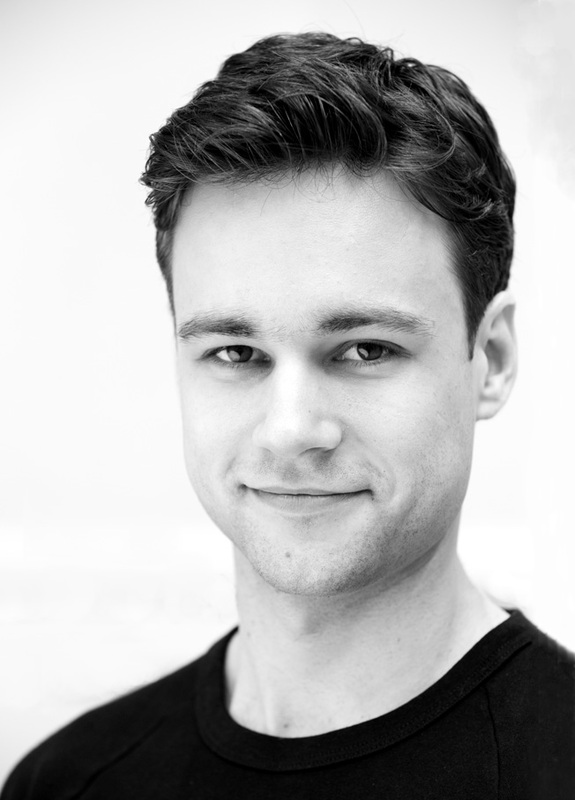 He joined the Birmingham Royal Ballet in 2005, and was promoted to first soloist in 2009. At BRB he created roles in Le Baiser de la fée and E=mc². He joined The Royal Ballet in 2011 and was promoted to Principal in 2016. His repertory with the Company includes Colas, Basilio, Magician/Mad Hatter, Lewis Carroll/White Rabbit, Hans-Peter (Nutcracker) and Prince (Nutcracker), Young Man (Two Pigeons), Jack (Sweet Violets), Emble (Age of Anxiety) and roles in Emeralds (Jewels), Voices of Spring, In the Night, Connectome, Ceremony of Innocence and Woolf Works, among others. He created Henry (Frankenstein) and a role in Obsidian Tear. He has performed as a guest artist with Australian Ballet and BRB. Direct , good interview ! ALEXANDER !!!!!! GREAT DANCER!!!! I LOVE HIS PERFORMANCE!!!!! !